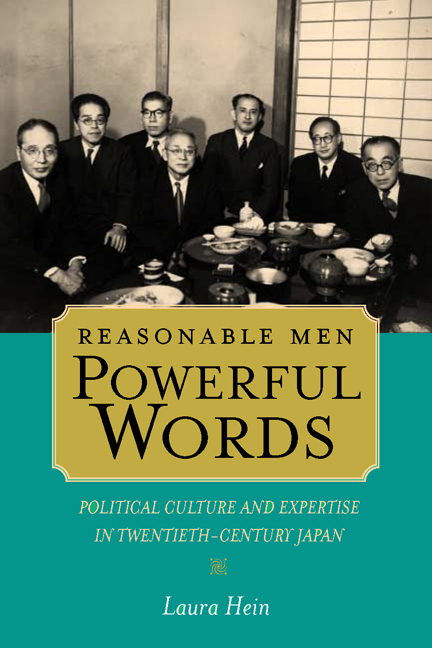 Reasonable Men, Powerful Words traces the development of political culture in twentieth-century Japan through a social and intellectual biography of six Japanese economists who influenced national political life in significant ways. The global ascendance of social scientists is one of the defining characteristics of modernity. They dedicated themselves to an extraordinary range of public policies, including eliminating poverty, reducing disparities of wealth, reshaping the relationship between government and citizen, building a strong economy devoid of a military component, and creating an educated and politically active populace in Japan. Laura Hein is Associate Professor of Japanese History at Northwestern University. She is the author of Fueling Growth: Energy and Economic Policy in Postwar Japan, 1945–1960 (1990), and co-editor of Censoring History: Citizenship and Memory in Japan, Germany, and the United States (2000).